With rolling hills speared by stilted Queenslanders and a river zigzagging wherever it pleases, Brisbane has certainly copped a fair whack of the beauty stick. The city isn’t shy about flaunting its assets and has many a vantage point, so here are the best views in Brisbane. Beaut views have never been easier to come by than atop the Kangaroo Point cliffs – unless you choose to take them in dangling from an abseiling harness. Prime picnic spot: Kangaroo Point cliffs. Prime picnic spots line the rocky precipice, showing off the city skyline in all its splendour – particularly as the sun dips and the high-rises flicker to life. Pop your camera on panorama and sweep it all the way from South Bank to the Story Bridge. There’s no missing Mount Coot-tha, ever watchful in Brisbane’s west. An easy 15-minute drive from the CBD, Mount Coot-tha offers peak Brisbane vistas day or night. The city’s geography makes much more sense from up here too, when you can follow the river and its every chaotic bend. There are plenty of bushwalks around the mount if you feel like wandering, including an Aboriginal art trail to the eye-catching JC Slaughter Falls. At the southern end of South Bank sits one of the prettiest spots for drinking in the city views (and an aperitif or two). South Bank’s iconic Parklands precinct (photo: Fullframe Photography). The lush and licensed River Quay Green fronts a handful of acclaimed Brisbane restaurants, among them Stokehouse Q and Aquitaine. Grab a picnic rug and head down to the natural amphitheatre for some live tunes on a Sunday, or stake out a spot early to catch the Riverfire pyrotechnics in September each year. Jollys Lookout atop Mount Nebo is worth the leisurely 45-minute drive from the city just to glimpse its 180-degree panoramas, stretching out as far as the jagged peaks of the Glass House Mountains and the sandy dunes of Moreton Island. One of the first formally designated viewing spots in Brisbane, Jollys is just a tiny speck of D’Aguilar National Park – one of many natural playgrounds right on the city’s doorstep. Okay, it may not technically be in Brisbane but this gentle giant on the Scenic Rim is up there with the best of them when it comes to stunning outlooks. 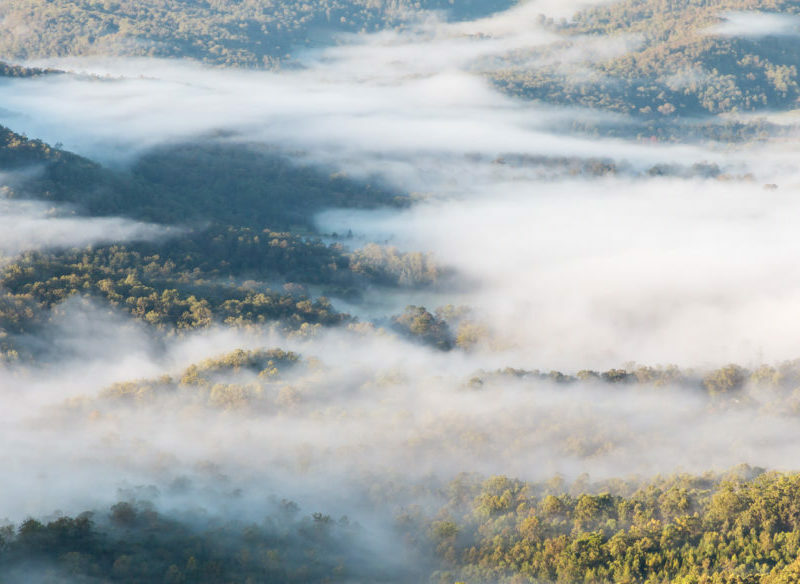 Making up the green behind the Gold Coast, Mount Tamborine is laced with nature trails that reveal postcard-perfect coastal views as far out as Moreton Bay, Tweed Heads and the Surfers Paradise skyline.